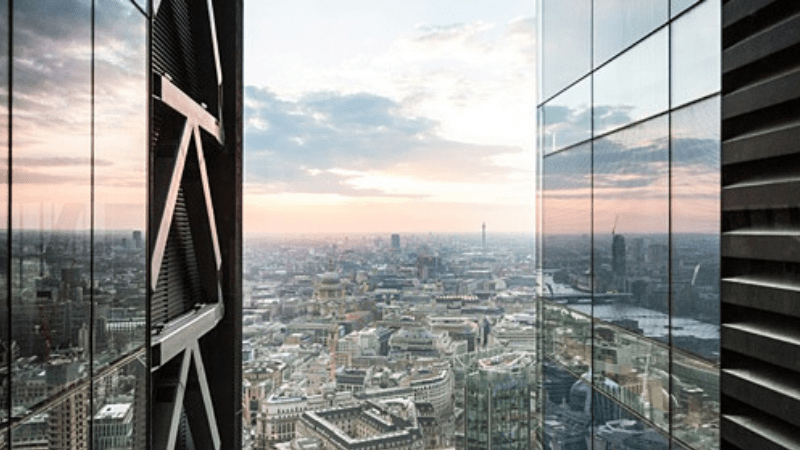 Are you hosting a launch party in London? There are hundreds of launch party venues to choose from and finding the best-of-best should be an absolute priority. Why? Your venue of choice has a massive impact on the perceived value of your event. Moreover, the venue can dramatically impact the overall guest experience. Fortunately, your search for the ultimate launch party venue in London is over. In this article, we'll share the city's top venues. In your search for a leading launch party venue, prioritise the locales on our list. 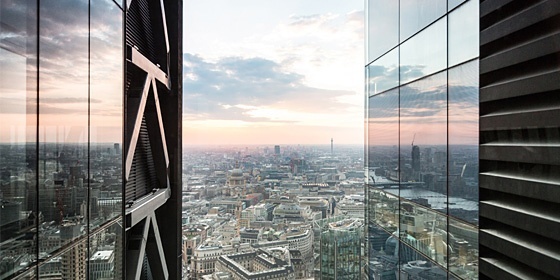 Landing Forty Two is an award-winning 5,000 square foot event space located in the Leadenhall Building, offering stunning views of the Thames and London skyline from its unique viewpoint 500 feet above the city streets. Guests enjoy the expansive floor-to-ceiling windows. The venue has been outfitted with the very latest lighting and sound installation, bringing a one-of-a-kind launch event to you and your guests. Tobacco Dock is a premier event venue located in the heart of London. With access to more than 40 flexible event spaces over 16,000 square metres, the venue can be hired individually or together to fit each event's individual requirements. 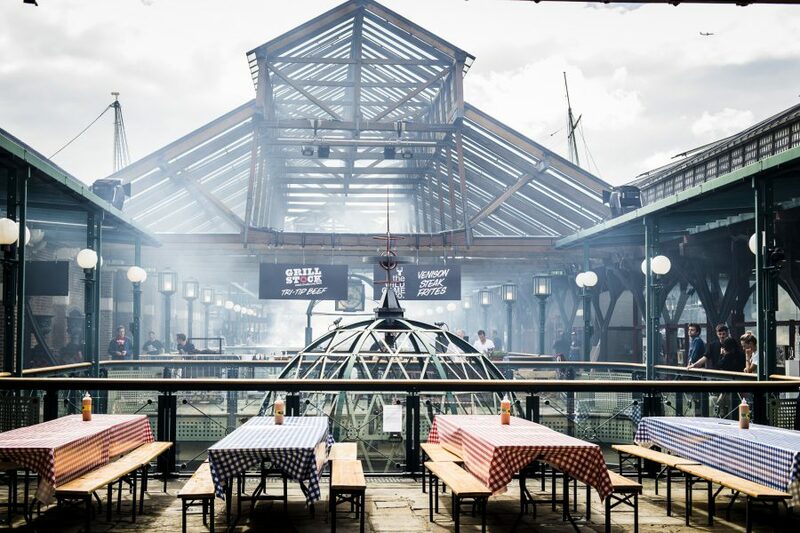 Tobacco Dock offers a range of catering hires suitable for a variety of event types including top-tier launch parties. More than an industry-leading coworking community built for high-growth tech startups and scale-ups, RocketSpace offers cutting-edge meeting and event space. 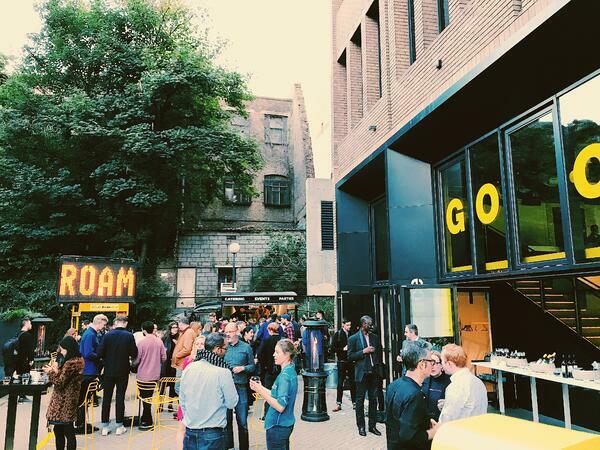 With access to eight diverse meeting spaces suitable for varying group sizes, an expansive auditorium with 4K video wall, outdoor breakout area, and the latest audio-visual equipment, RocketSpace is an ideal event and meeting location in London. From small and intimate meetings to large launch events, as London's leading corporate event venue, RocketSpace is well-equipped to accommodate you and your guests. 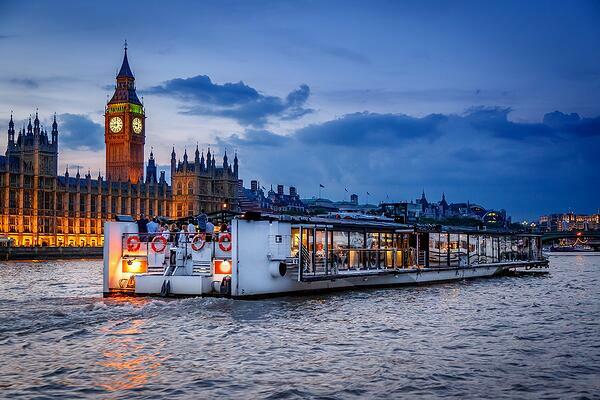 Bateaux London offers the city's best restaurant cruise. Ideal for gatherings between 100 to 300 guests, each vessel provides flexible space, delicious food freshly prepared on-board, and live musical entertainment. The conference package includes tea, water, coffee, and pastries, a stand up lunch, and an hour lunch cruise on the Thames. Enjoy complimentary high-speed internet and access to a dedicated events management and support team. The Brewery is a historic event venue in London. Make your corporate launch event remarkable with access to flexible conference spaces, high-speed internet, modern accommodations, breakout areas, integrated audio and visual equipment, customisable electronic entrance, quality food and drink, and more. "A huge thank you for allowing us to use your space today — we really enjoyed being in a different environment and felt extremely welcome." - Jodie Hughes, Entrepreneurial Spark.